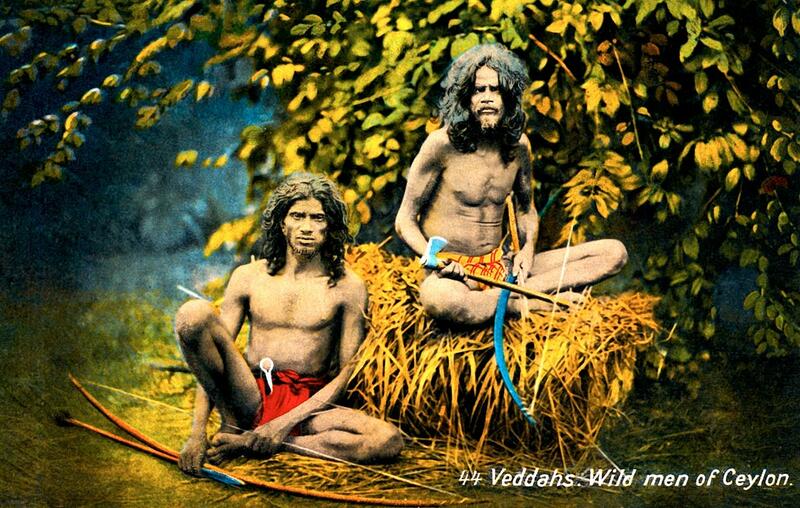 This postcard of the original inhabitants of Sri Lanka [Ceylon] was made from a photograph by Charles Scowen, one of the great photographers of the 19th century, as was likely taken in the 1870s. In 1896, The Colombo Apothecaries bought out his stock and made postcards out of many of his best photographs. Scowen apparently tried to become a tea plantation manager and disappears from the record.